The police interviewed a number of witnesses and confirmed they were treating the death as a tragic accident. The man was taking a photograph at the Cliffs of Moher in County Clare, Ireland. An Indian student died after falling off a cliff in Ireland while taking a selfie, the police said. The unidentified Indian national, in his 20s, was studying at a university in Dublin. 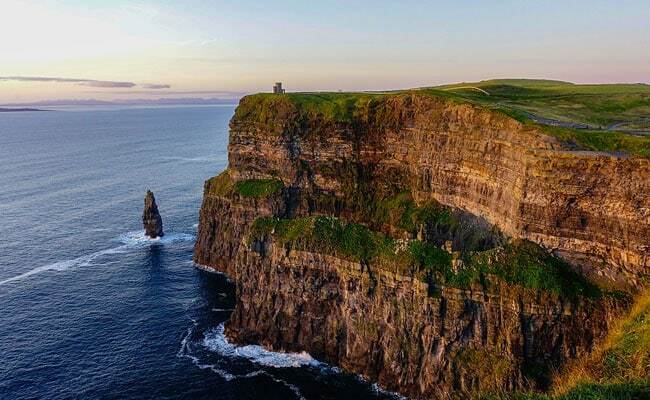 He lost his balance while taking a photograph at the popular tourist attraction site -- the Cliffs of Moher in County Clare -- on Friday afternoon. There were hundreds of people enjoying the scenery and cliff walk at the time, the Irish Mirror reported. Emergency services, including a search helicopter, were mobilised as soon as an alarm was raised. A winchman from the helicopter rescued the man from the sea and he was flown to nearby Doolin, where he was formally pronounced dead. The Ireland police interviewed a number of witnesses and confirmed they were treating the death as a tragic accident. "There is nothing to suggest at this stage that this was anything other than a tragic accident. Initial indications are, having taken statements from a number of people, is that the victim was taking a selfie and lost his footing," an Irish Police spokesman said. The incident is under investigation while the police is trying to make contact with the victim's family in India. In 2007, a Hungarian man died after falling off from the Cliffs of Moher while taking photos.